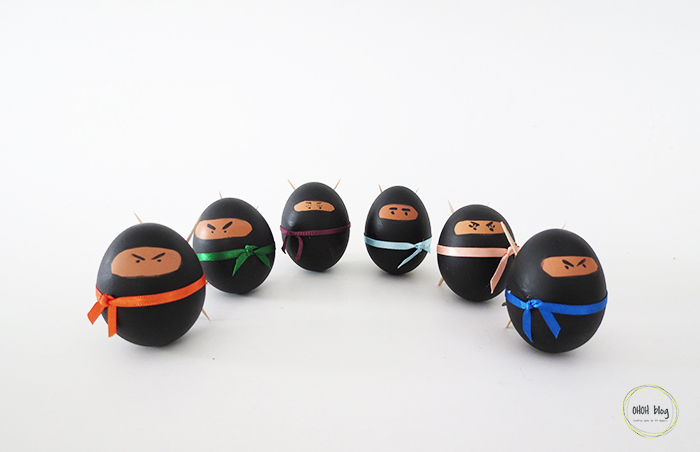 Can you believe it’s almost Easter time? 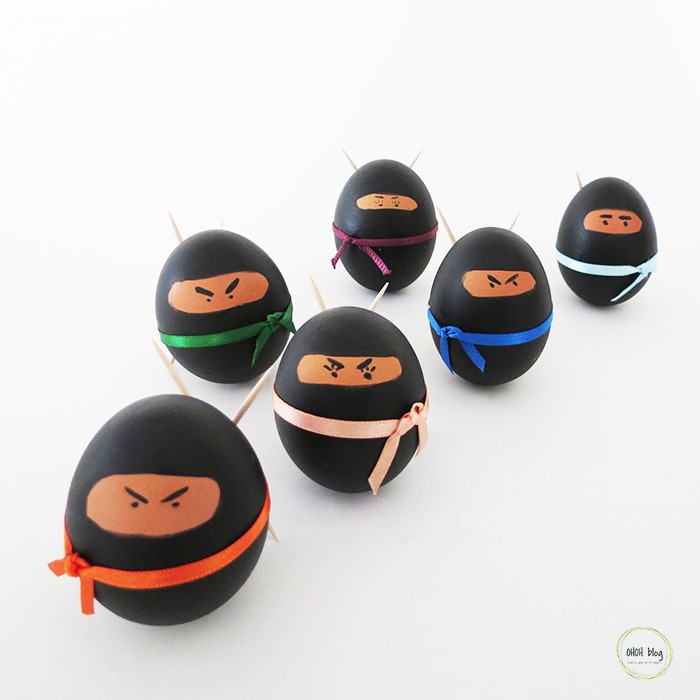 So, here is a fun craft to make this weekend: Ninja eggs! I’m pretty sure your kids are gonna love them! 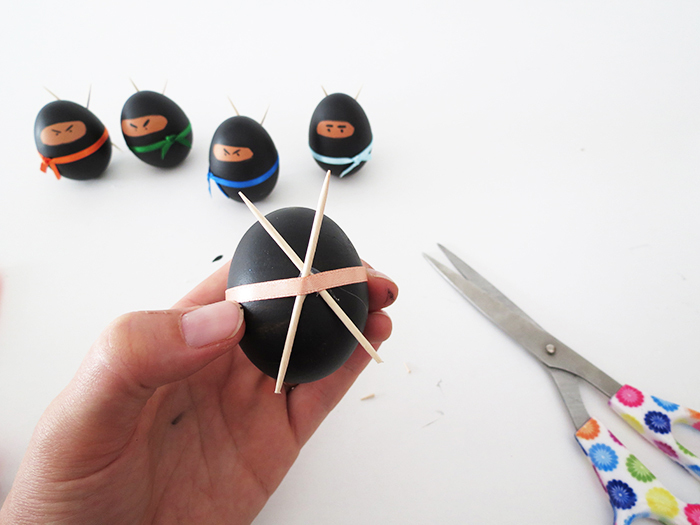 It’s quite simple, and you already have all the supplies: hard boil eggs, acrylic paint, a glue gun, ribbons and some tooth picks. 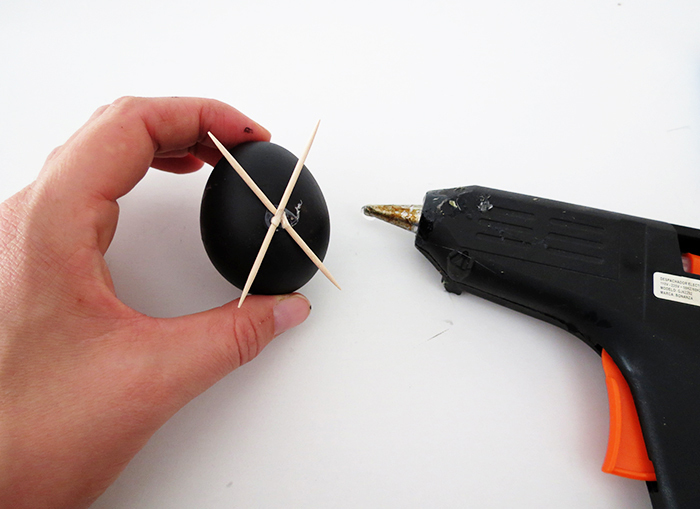 Draw an oval shape and paint all the egg with black acrylic paint, except the oval. Depending of the paint you use, you may need to apply several coat. 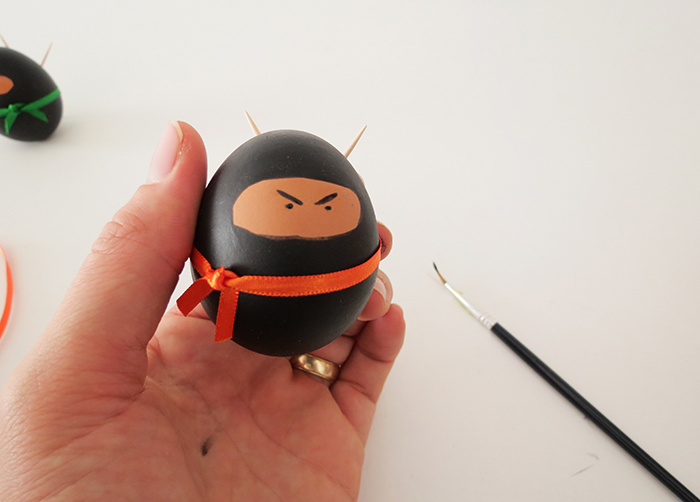 On the “back” of the egg, use your glue gun to fix two tooth picks to make the ninja swords. 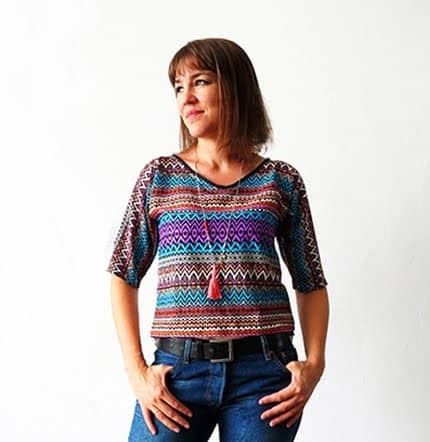 Attach a colored ribbon to make the belt. Draw the eyes and the eyebrows. You can use a small paintbrush or a black sharpie. 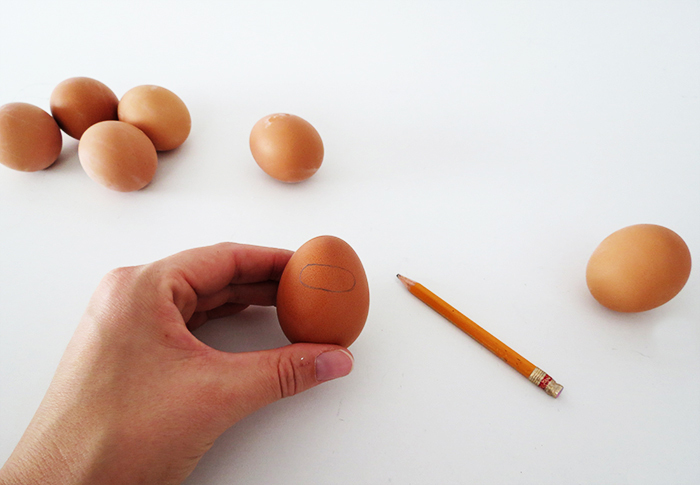 You may have to cut a little the tips of the tooth picks for the egg to keep in balance. A done!! 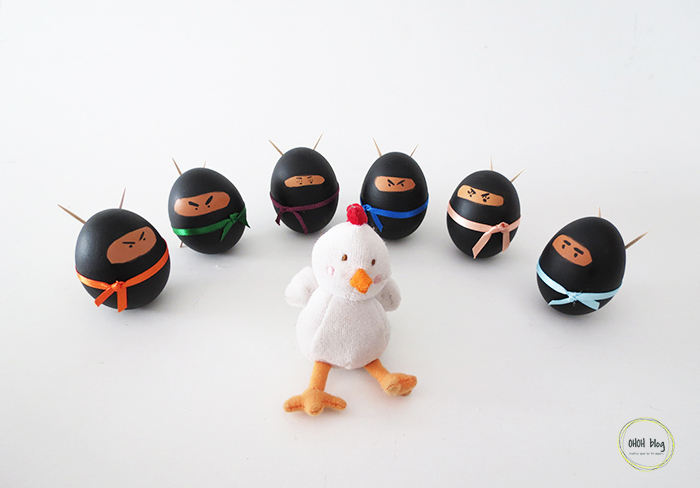 Your Ninja eggs army is ready to fight. They have be in a big fight and they finally catch this evil chicken. Okay…. it’s just eggs and they are not very steady. 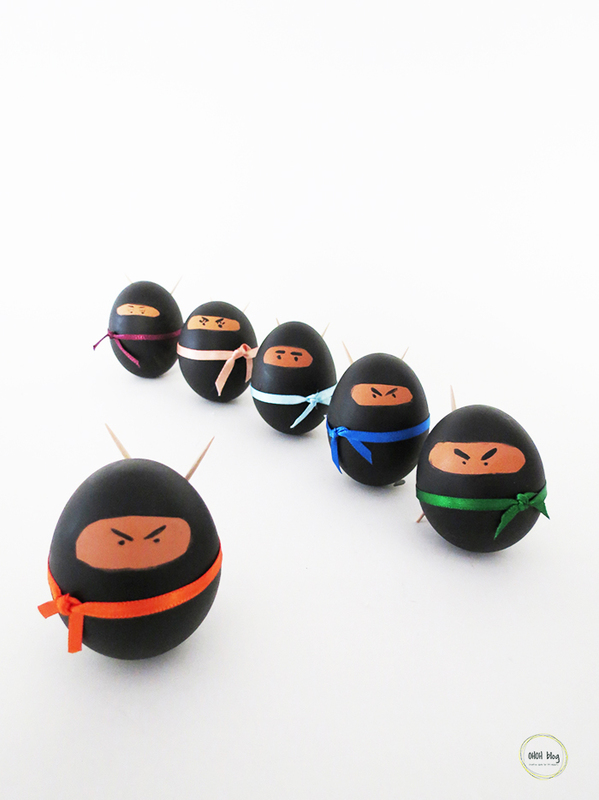 If you want some other egg decoration ideas, you can have a look at those sweet Babouchka eggs. 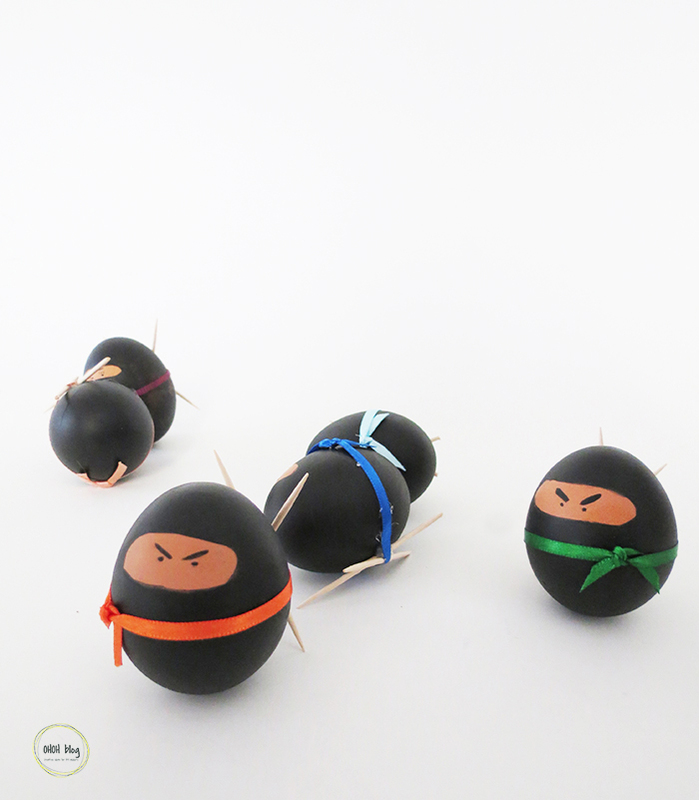 Ha, ha, ils sont rigolo tes œufs, mais lequel est Donatello ? 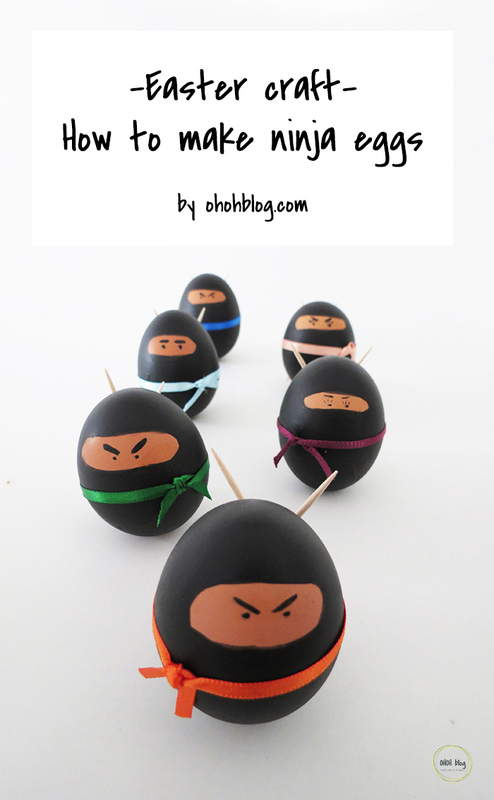 I absolutely love these Ninjas—the expressions on their faces is priceless! 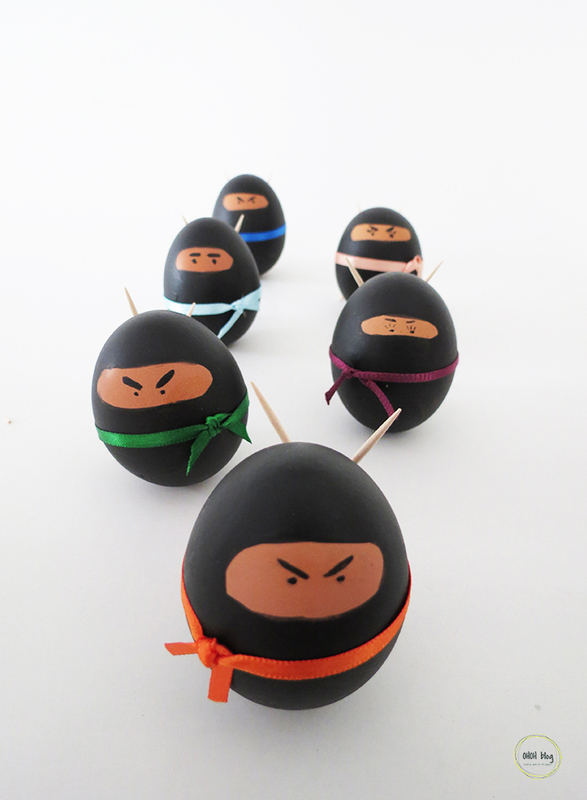 They are tough ninjas 😉 Thanks Michelle!